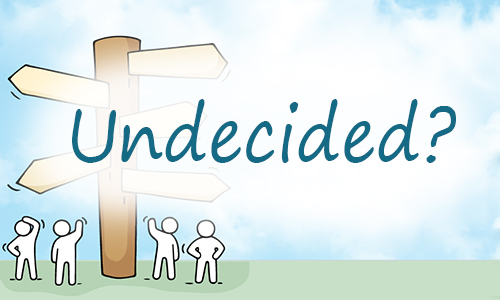 Home Student Services Career Services Undecided? You may feel like you have to have life figured out completely before registering for your first semester of college, but don’t feel rushed to make a decision. Your advisor can walk you through the general education classes that will count toward most any major. From there, there are steps you can take to get started with planning your career. You will finish the class with a Graduation and Career Portfolio containing a two-year academic and career plan tailored just for you! Additionally, you will meet other first-time students and get plugged in to Calhoun. Calhoun’s Career Services office sponsors a helpful career assessment to assist you in discovering a profession that fits your goals, skills and values. This assessment is completely free to Calhoun students, alumni and community members. In order to access the assessment, please make an account at www.calhoun.edu/FOCUS using the access code “warhawks”. After logging in, you will find a number of different assessments. In order to provide helpful information, we ask you to answer questions honestly to help ensure accurate feedback and results. As part of the assessment results, you will receive your Holland code. What does that mean? Based on your personality type, your Holland code can refer you to different careers and interest that fit your results. Click here to see which careers may be a good fit for you!